My history with horses is spotty at best, but I consider them magnificent creatures. When I was eight, my mom signed us up for horseback riding lessons. We were living in the southwestern mountains of Pennsylvania at the time. One detail I remember is getting my first pair of cowboy boots specifically to wear while riding. They were Dingos and they were the only pair of those types of boots I ever owned and my mom got them for me after our first ride. The farm where we took our lessons had several horses and the instructor, a nice lady named Sis I believe, paired me up with animals that were very gentle. After getting over my initial shock at how big they were (and remember, I was eight) I found the activity both rewarding and challenging. I could not check out and let the horse take over, I had to tell them where I wanted to go. The lessons lasted about a summer and then we moved away. My next encounter with horses came about during my time with the Boy Scouts. Our troop, Troop 21 in Atlanta, camped for a long weekend on Cumberland Island off the coast of Georgia. Mostly uninhabited by humans, the island is a national park and has a herd of horses that while picturesque and majestic, are also kind of tearing up the place. I don’t remember hearing about that last part thirty plus years ago when I was there, but it seems to be the case now. We only saw the animals from a distance, but found plenty of hoof prints in the sand. Those horses were breathtaking. A couple of years ago, I saw a television program with an island inhabited by horses off the coast of South Carolina and thought that would make a great setting for a mystery series. 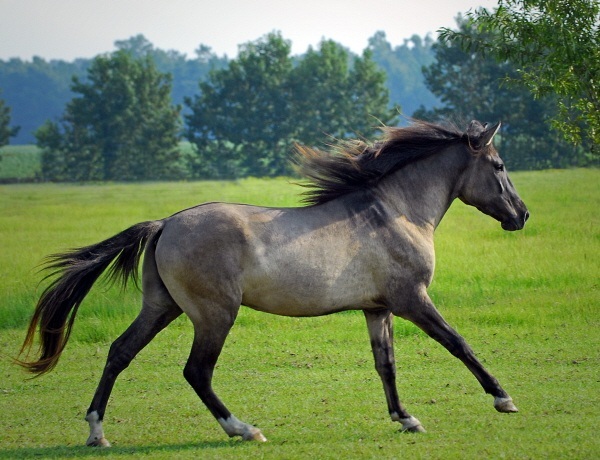 A little research turned up the name of the breed of those horses—Carolina Marsh Tackey—that hail from South Carolina. They are kind of scraggly but resilient and, sadly, are endangered. Why all this talk about horses? My Blu Carraway series is set in Charleston. Blu Carraway is a P.I. who lives on a barrier island south of Charleston. On his island lives a small herd of Carolina Marsh Tackeys led by a black stallion named Murder. Blu takes care of the horses and the horses take care of their home. The second book in the series, BAD TIME TO BE IN IT, releases on July 10 of this year and I love the fact that my publisher, Henery Press, put horses on the cover! I still enjoy seeing horses, but I’m not sure I’m up for owning one. How do you feel about them and have you ever owned any? I’d love to hear your stories.